Deploy a static website using Amazon S3. Amazon S3 will provide the origin for your website as well as storage for your static content. 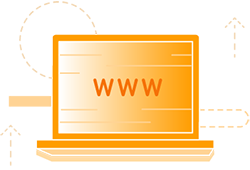 Associate your domain name with your website using Amazon Route 53. Amazon Route 53 will tell the Domain Name System (DNS) where to find your website. Enable your website to load quickly using Amazon CloudFront. Amazon CloudFront will create a content delivery network (CDN) that hosts your website content in close proximity to your users. An AWS Account: You will need an AWS account to begin provisioning resources to host your website. Sign up for AWS. Skill level: You will need a basic understanding of web technologies and an existing website that you can bring to host on AWS. The total cost of hosting your static website on AWS will vary depending on your usage. Typically, it will cost $1-3/month if you are outside the AWS Free Tier limits. If you qualify for AWS Free Tier and are within the limits, hosting your static website will cost around $0.50/month. To see a breakdown of the services used and their associated costs, see Services Used and Costs. 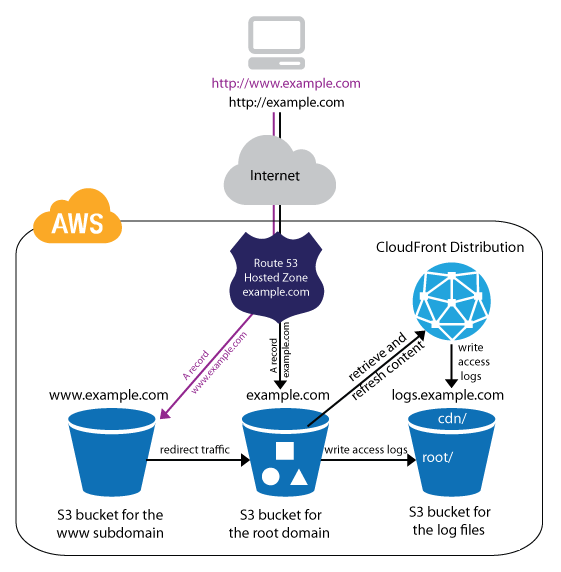 In this whitepaper, we cover comprehensive architectural guidance for developing, deploying, and managing static websites on AWS and provide a recommended approach. Learn more about how AWS provides cloud website hosting solutions to provide flexible, highly scalable, and low-cost ways to deliver websites and web applications. Accelerate your websites with Lightsail. It provides everything you need to jumpstart your website on AWS—compute, storage, and networking—for a low, predictable price.